Using WordPress to blog is one of the easiest and most efficient ways to get your great ideas out there. Whether you're an individual sharing your thoughts on celebrity gossip, a small company specializing in online marketing, or a large corporation blogging about your latest product launch, you likely use WordPress to get your message to your intended audience. However, you're busy and might not have time to revise your blog posts to ensure your meaning is clear and your sentences are free of errors. It takes only a few seconds for a spelling error or unintended message to go viral, which has the potential to damage your online reputation. This is where our WordPress plugin comes in. With a couple clicks of the mouse, your blog post will be sent to our expert blog editors, revised, and sent back to you automatically. We'll check your blog post for things like clarity, word choice, sentence structure, and consistency to make sure you are expressing yourself clearly. We'll also check it for spelling, grammar, and typographical errors so that you can relax and hit that publish button. Don't let a small grammatical error or unintended meaning drive people away from your blog. Use our WordPress plugin today! 1. When installing our plugin within your WordPress blog, make sure you are logged in as the administrator, and click the Add New button on the plugins screen. 2. Search for the Scribendi plugin. 3. Once you've found it, click the Install Now link in the listing. 4. If you have downloaded the .zip file from the WordPress site, then please use the Upload feature in the WordPress Add New area to upload it. If your server is missing features, you may see errors. You should fix these before trying to enable the plugin again. 7. You'll find the settings for the Scribendi.com WordPress plugin in the Settings dropdown. Click Settings on the left and then select Scribendi. 8. For existing customers, click the “I am an Existing Customer” button, log in with your username and password, and proceed to step 11. 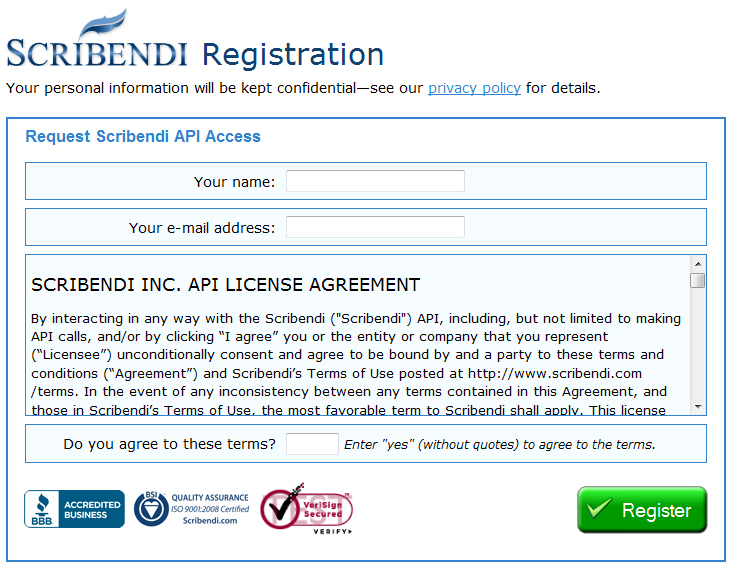 If you are a new Scribendi customer, click the “I am a New Customer” button at the top of the Scribendi settings area and continue to step 9. 9. Next, we'll ask you for some contact details, all of which will be kept strictly confidential. You will also be required to accept our License Agreement to register. 10. You'll get an email confirmation request. 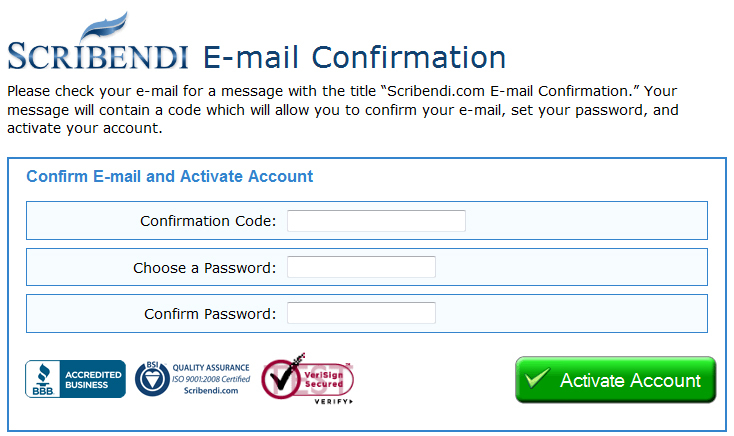 Use that confirmation code to finish the registration process and select a password. 11. Now you're registered! Click the link that says, “Click here to copy your API details to WordPress” or simply close the pop-up box to populate the plugin settings with your API details. 12. One last thing! You'll want to enable the little-known Revisions view in the Posts screen. So go to the Posts menu and click Add New. 14. And that's it! Now, every time you go to write or review a post, you will have the option of sending it to the Scribendi.com blog editing service, right from within WordPress, in just a few seconds. We hope to hear from you soon!